'Children Succeed' With Character, Not Test Scores Author Paul Tough says parents should focus less on SAT and IQ scores, and more on fostering grit, curiosity and character in their kids. He argues that attachment is important in the first few years, but parents need to know when to step back and let their kids learn through trial and error. 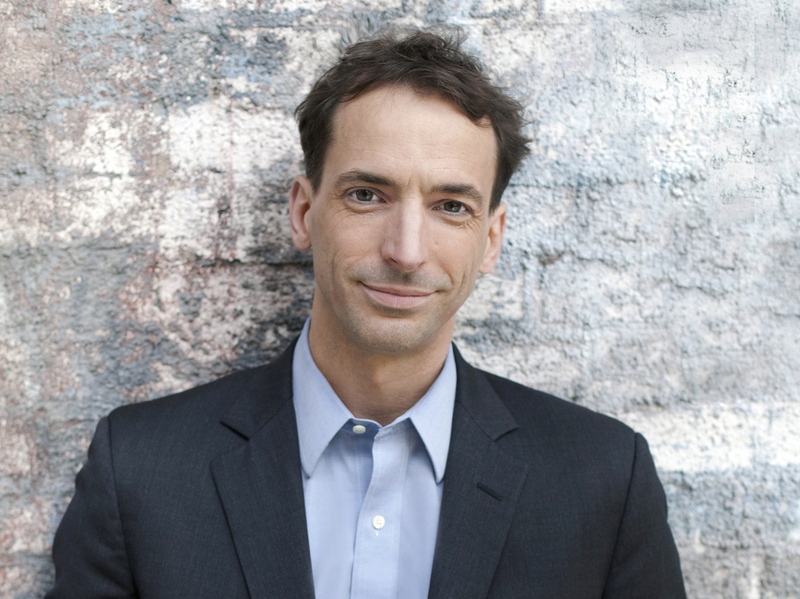 A child's success can't be measured in IQ scores, standardized tests or vocabulary quizzes, says author Paul Tough. Success, he argues, is about how young people build character. 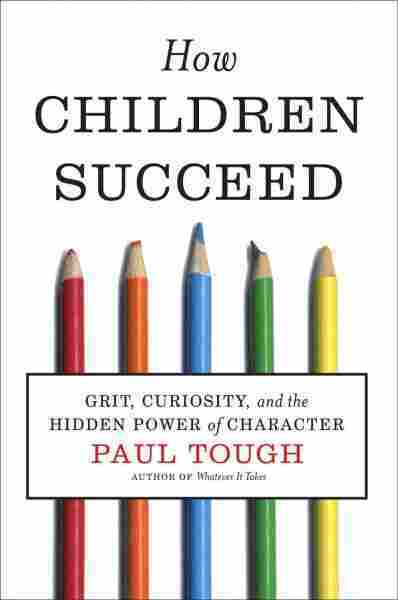 Tough explores this idea in his new book, How Children Succeed: Grit, Curiosity and the Hidden Power of Character. "For some people, [the] path to college is so easy that they can get out into life and they've never really been challenged," he tells NPR's David Greene. "I think they get into their 20s and 30s and they really feel lost — they feel like they never had those character-building experiences as adolescents, as kids, that really make a difference when they get to adulthood." That wasn't true for the teenagers Tough met during the time he spent in some of Chicago's roughest neighborhoods. There, he worked with teenagers overcoming unimaginable challenges. One young woman he worked with had been sexually abused by a relative, was getting into fights in school and was on the verge of dropping out. But then she entered an intensive mentoring program that changed her life. "She made it through high school, overcame a lot of obstacles and now is getting a cosmetology degree," Tough says. "For some people, that wouldn't be a huge success. But for her, she overcame obstacles that won't only set her on a path for material success, but also psychological success." The difference-maker really depends on the person, Tough says. Mentoring programs that focus on goal-setting can be helpful, and he also says parents should try to help their kids manage stress from a very early age. Paul Tough is also the author of Whatever It Takes: Geoffrey Canada's Quest to Change Harlem and America. "When baby rats got stressed out — when they were handled by lab technicians, let's say — there were some mother rats who would lick and groom their baby rats and others who would not. And so the scientists got interested in this one particular behavior, and they tried to figure out what kind of difference it made. As they did a series of experiments, they found out it made a huge difference. The rats who as babies were licked and groomed did much better on all sorts of things when they reached adulthood. They were braver, more curious; it had actually changed the shape of certain parts of their brains. "I think there's a real parallel there for humans — we don't know for sure that our brains work exactly like rat brains, but I think there's a lot of parallels between that and research on attachment. Psychologists who have studied attachment have found that when human kids have that same kind of licking and grooming-style bonding with their parents, especially in the first year of life, it gives them all sorts of psychological strength, confidence [and] character that, when they reach school age and even into adulthood, will make a huge difference in how well they do." When kids are really young — when they're in their first year or two of life — my sense from the research is you can't be too loving. "There are two stages [of parenthood] and it's hard to tell where the transition goes from one to the other. When kids are really young — when they're in their first year or two of life — my sense from the research is you can't be too loving. ... What kids need at that point is just support, attention, parents who are really attuned to the child's needs. But at some point somewhere around 1, or 2 or 3, that really starts to change and what kids need is independence and challenge. And certainly as kids get into middle childhood and into adolescence, that's exactly what they need. They need less parenting. ... They need parents to really stand back, let them fall and get back up, let them fight their own battles." "Absolutely, cognitive skill and IQ make a big difference; vocabulary matters. But the scientists, the economists and neuroscientists and psychologists who I've been studying and writing about are really challenging the idea that IQ, that standardized test scores, that those are the most important things in a child's success. I think there's lots of evidence out there now that says that these other strengths, these character strengths, these noncognitive skills, are at least as important in a child's success and quite possibly more important." How Do You Encourage Your Kid Without Being A Crazy Stage Parent? "Right now we've got an education system that really doesn't pay attention to [noncognitive] skills at all. ... I think schools just aren't set up right now to try to develop things like grit, and perseverance and curiosity. ... Especially in a world where we are more and more focused on standardized tests that measure a pretty narrow range of cognitive skills, teachers are less incentivized to think about how to develop those skills in kids. So it's a conversation that's really absent I think in a lot of schools, to the detriment of a lot of students." "My wife and I had our son just as I was diving into this research, and so I spent a lot of time going back and forth between playing with him on the floor and then reading these neuroscience and developmental psychology papers and trying not to let them influence me too much. But I think I took a couple of things away: One was really that in infancy ... attachment-promoting behavior — that helping him manage stress the way that those mother rats helped their pups manage stress — was a hugely important thing, and that was going to make a big difference in terms of how his brain develops, how his stress response system develops, and that that was going to help him a lot going forward. "But now I really find myself wrestling with this question of how to make this transition into standing back more, and giving him more challenge and letting him fall down — sometimes quite literally — and skin his knee and not pick him up and let him pick himself up. And definitely what I find, and I know a lot of parents have found before me, is he really likes that. What he wants at this stage of life is to prove that he can do everything, and I think it's the most valuable thing I can do for him right now is to stand back and let him do that."